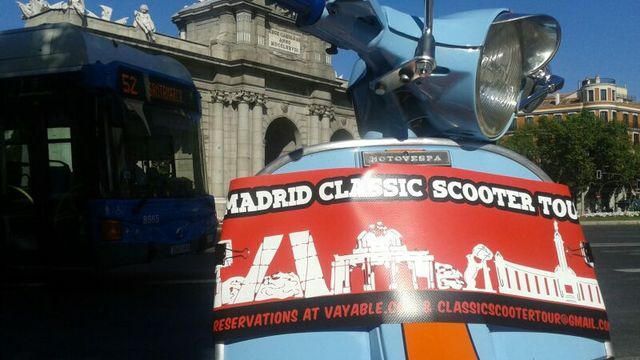 Enjoy the best sightseeing tour, riding in a beautiful classic Vespa all around the vibrant city of Madrid. 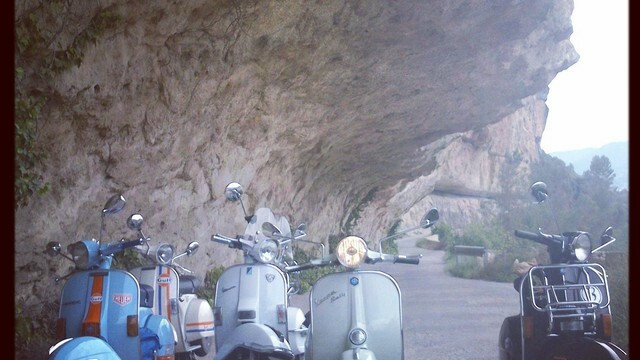 Trust me, you´ll experience the city in a entirely different way, moving as many locals do, with the freedom that only a scooter can give you and all the charm of a real classic jewel as the Vespa is. 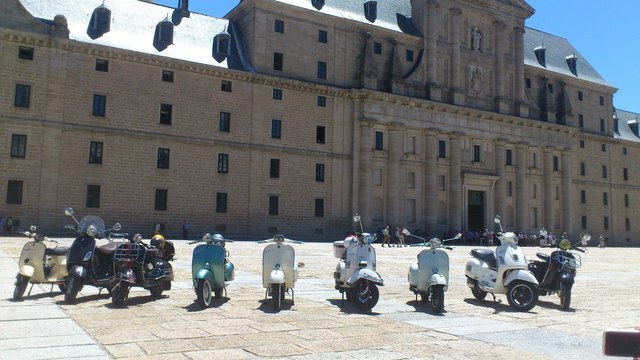 We meet up in a centrical point or pick you up where you´re staying at, we´ll have an ice cold "caña de cerveza" or cup of coffee, set up an itineray and agree on the stops. 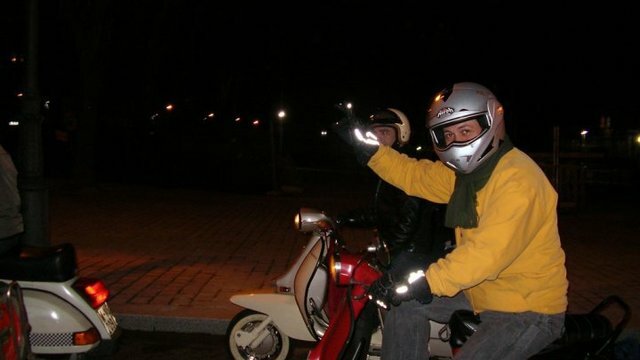 Then you strap your helmet on and I´ll take you to the places you want to visit, either is it going for some "tapas & pinchos" in a trendy neighborhood or going up and down Paseo de La Castellana to enjoy the city lights. 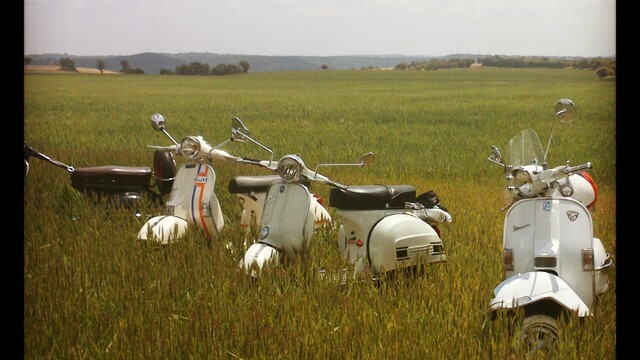 A classic Vespa can take you as far as you want, but at it´s own pace...it ain´t no joy in rushing. 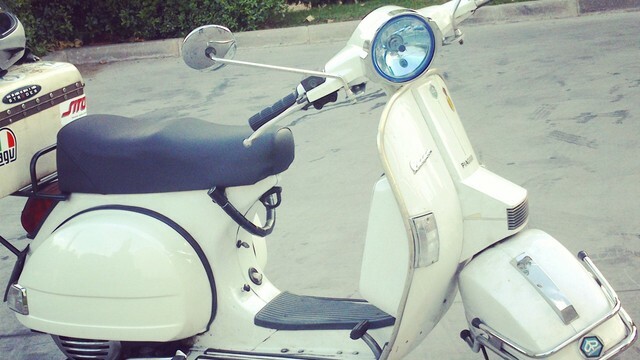 The idea is that you´ll take the pillion seat and I´ll be your rider/guide. 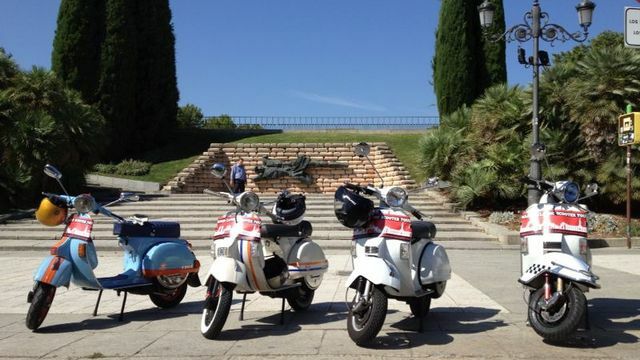 But in case you´re a seasoned vespista, we can also arrange to lend the scooter for you and ride two or more Vespas. 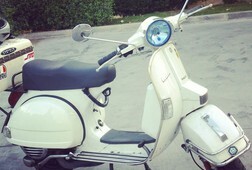 Some of my friends will come along to ride the additional Vespas, when necessary. 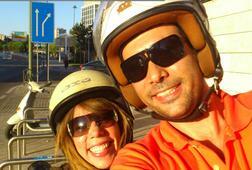 Don´t forget to tell me your helmet size or if you´re bringing your own helmet. 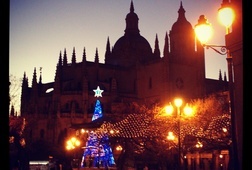 Depending on the time of the year/wheater I´ll be giving you some additional tips on what to wear and carry on with you. 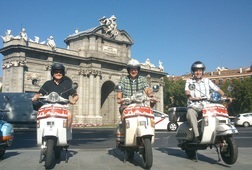 I have one reason to write in this blog, and that is the desire to share my wonderful experience while I was in Madrid in 2012, I enjoyed the city through Scooter tour. 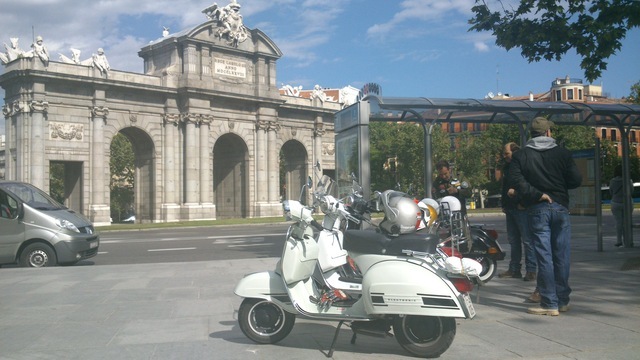 It was a fascinated experience, I could feel the city atmosphere, people’s deep inside, traffic and history; in a short sentence I can said that I learned about How is living in Madrid and it’s amazing how many interesting things can you find while you’re exploring the city. 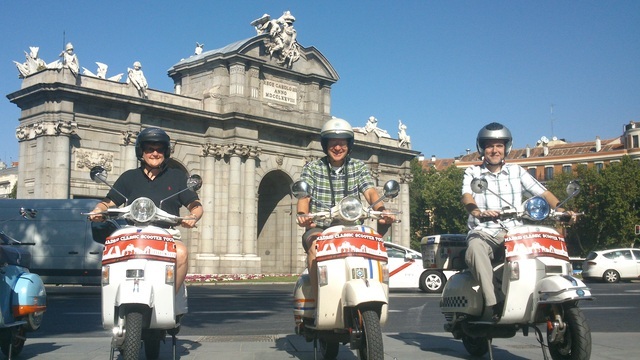 I have had the opportunity to travel to many cities around the world, but Madrid showed to me a new and fantastic way to meet the places that are in a city and that’s traveling in a scooter, it gives you a sensation of freedom and I could blend with the places that I was observing. 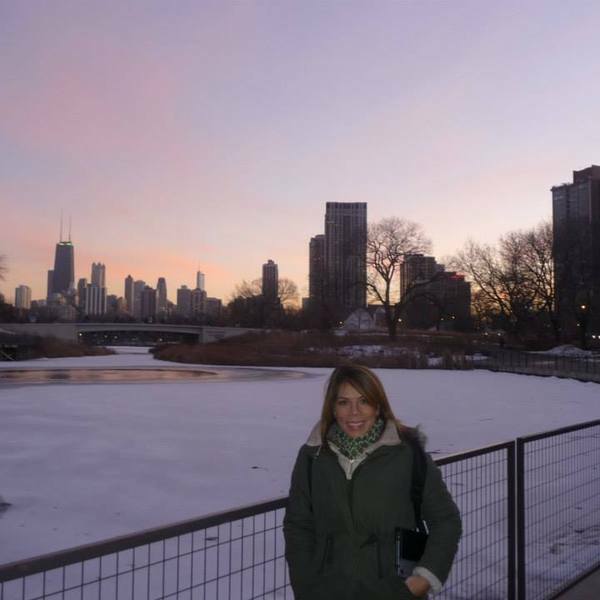 I had the happiness of travelling with a friend who knew the city, he presented to me the most important places and gave me an explanation about each of them. The ride become increasingly entertaining meanwhile we stopped to enjoy a “tapas” or took some photos while we were riding. 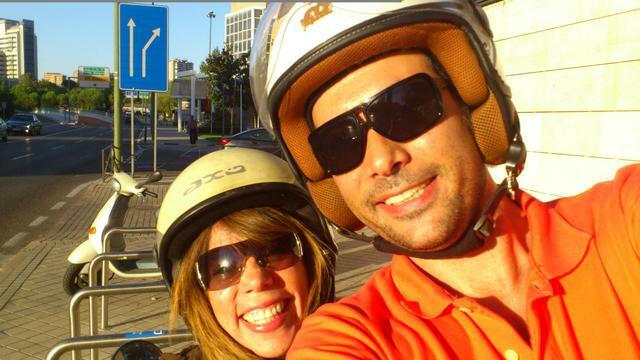 To travel in a motorcycle allows yourself to know the city from another perspective, it gives you the visually of everything and what it´s representing, people, architecture, traffic and also you can imagine the events that could develop in it. 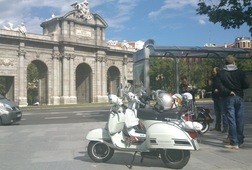 Thanks to Daniel, I could know and explore wonderful places such as: “La Gran Vía” is the most famous street of Madrid, “La Puerta de Alcalá” is one of the most representative monuments of Madrid, “La Plaza de los Cibeles” and Debod's Temple is one of the most important place that Madrid hides, it was a gift from Egypt to Spain. 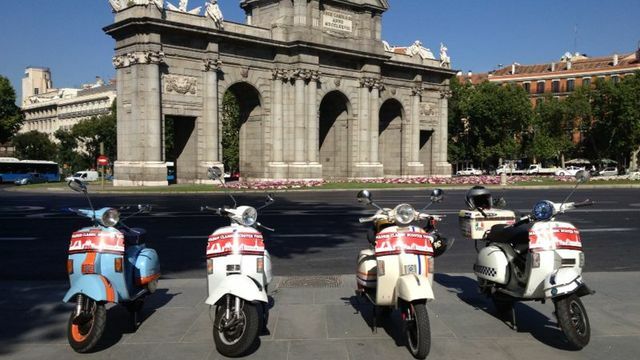 You can see and explore a monument of the ancient Egypt in Madrid, Infinite places and beautiful memories come to my mind, I recommend widely Madrid city tour in Scooter, it is one of the most entertaining and pleasant experiences that life can give you. 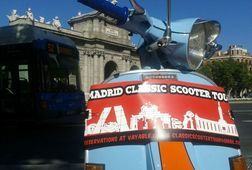 It was my first time in Madrid, I had little time so I made a smart and exciting desicion of doing this vespa sightseeing tour. 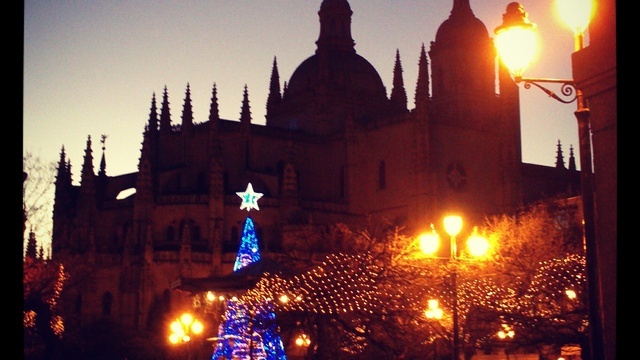 Daniel took me to all the famous landmarks and explain me it´s history, also show me his favorite places to go for tapas & beers. 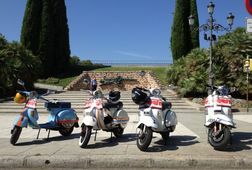 We avoid traffic jams as with the vespa we could drive in areas cars are not aloud, so we save a lot of time and could make the most out of the tour. 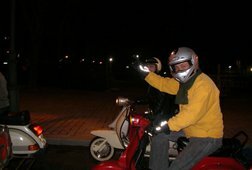 I got off the vespa "on the spot", had time to walk around, take pictures, enjoy the nice weather. 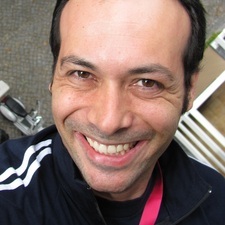 If you have little time for a tour, this is definetly an excellent choice, most important you will feel safe at all times; he is an excellent driver and knows all the good spots in Madrid. 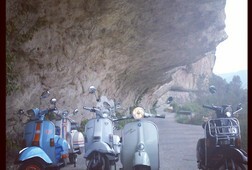 To wrap it up i give 5 out of 5 to Daniel´s vespa tour.